Request for issuing of a work permit is submitted by the employer to the Employment Service. The work permit is issued for up to one year. The permit may be for an indefinite time period for foreigners with permanent residence in Bosnia & Herzegovina. The Federal Employment Agency issues an approval for the employment of foreign persons upon proposal by the Employment Service. The migrant foreign personnel needs to register in different institutions under the Ministry of Civil Affairs, dealing with social security. As soon as he/she is registered in the Ministry of Interior and has a temporary residence permit, he/she wiII receive an ID card for foreigners, with unique personal number. Social security system in Bosnia and Herzegovina encompasses: social insurance, social assistance, family and child assistance and veteran's protection. Within the social insurance scheme there are: pension and invalidity insurance, health insurance and health protection, and unemployment insurance. Foreign citizens are part of the sociaI insurance system only if they are employed by company that pays social contributions for them to the state. 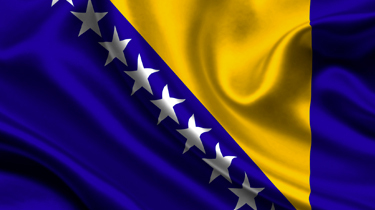 Thinking of contracting in Bosnia and Herzegovina?